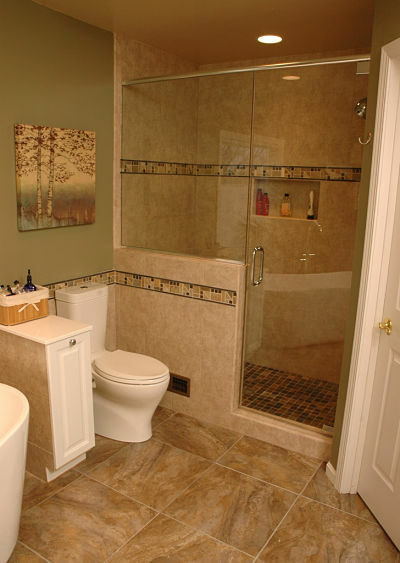 If you’re planning to remodel a bathroom chances are you’ll be replacing an older, inefficient toilet. In recent years, manufacturers have introduced many new product features and designs. Consumers now have a wide range of options. One of the most significant changes in toilet design is the reduction of the amount of water a toilet uses. The U.S. EPA estimates that 30 percent of water consumption in the average American household is attributed to flushing toilets. Older toilets (pre-1995) use as much as 6 gallons of water per flush. The federal government now requires manufacturers to produce toilets that use no more than 1.6 gallons per flush. Many models use much less. Toilets can range in price from $100 to thousands of dollars. There are luxury models that include a bowl light, bidet features, seat warmers, dryers, health monitoring functions, sensor lids, flush sensors and even an iPad mounted on a lid with a swivel hinge. How cool is that? Manufacturers have been designing toilets as architectural elements in a bathroom. Much attention has been given to creating attractive shapes and forms and providing consumers with color options. Today’s colors are white, beige, black and gray. One of the easiest ways to add color to a toilet is by choosing a colored seat. 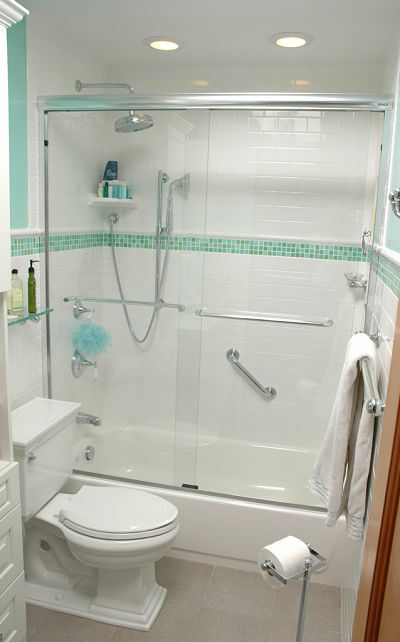 For harmony in the room, choose sinks and a tub that match the toilet from the same line. 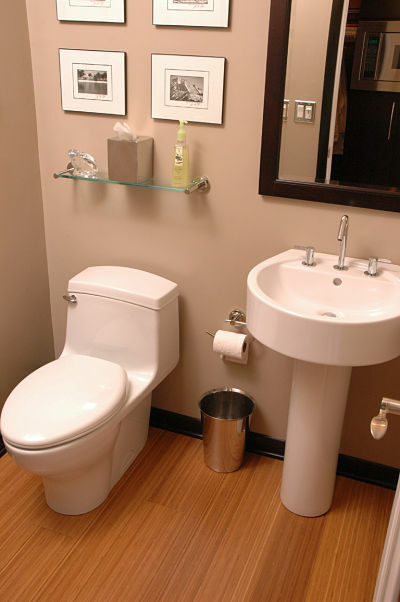 One-piece toilets occupy less space and often have a lower profile than a separated tank and bowl. Their seamless design makes them easier to clean. Two-piece toilets still remain the most common toilet found in homes today. Many designs and styles are available. Tankless toilets are growing in popularity because of their size and because they conserve water. A tankless toilet does not require a tank of water to clear waste. Water is supplied through a direct line with enough pressure to clear the bowl. Round bowls use the least amount of space. 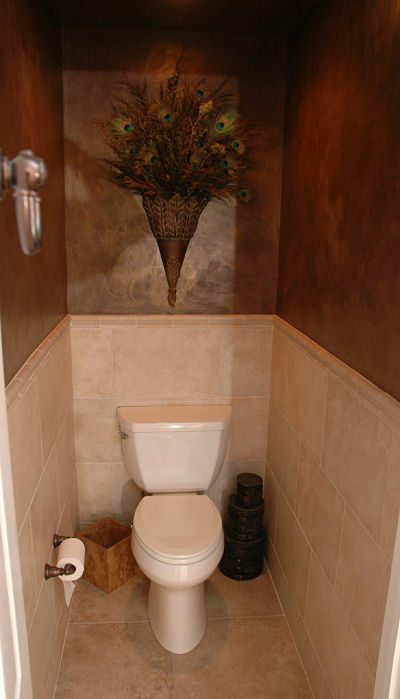 Typically, a round bowl will extend 25-to-28 inches from the wall. Elongated bowls are the largest and most comfortable. 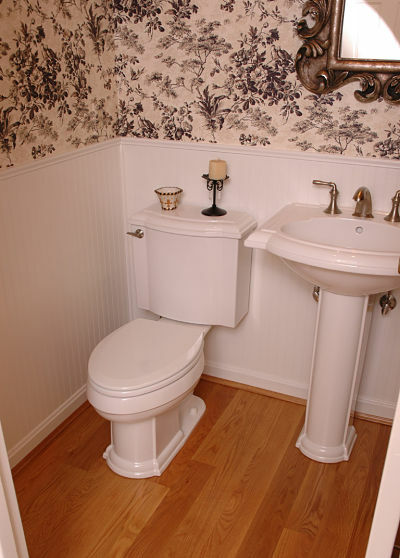 Elongated toilets will extend 29-to-31 inches from the wall. Compact elongated toilets combine both features. They’re comfortable and can extend as little as 25½ inches from the wall. Standard toilet seat height is 14-to-15 inches from the floor. “Comfort Height” models are the height of a chair seat and are 17-to-19 inches from the floor. A “Comfort Height” toilet may be great for adults but too tall for young children. Advances in technology have made it possible for manufacturers to make toilets that use 1.28 gallons of water or less per flush. When choosing a toilet, look for the WaterSense label, which indicates that the product uses 20 percent or less water than the national standard of 1.6 gallons per flush. In the long run, this will not only conserve water but it will save you money. Low-flow toilets use both gravity and design to flush waste. Design adjustments on low-flow toilets include a wider “flapper valves” (the hole in the tank) and “trapways” (the hole at the bottom of the toilets) to flush less water and pressurized air in the tank to push water into the bowl with more force. Dual flush toilets have two buttons or levers, one for solid waste, the other for liquid waste. The advantage of dual flush toilets is the reduced amount of water used: 0.8 gallon for liquid waste and 1.6 gallons for solid waste. The disadvantage of dual flush toilets is that they can be more expensive than low flow toilets and they retain less water in the bowl, which may make them less attractive. When selecting a toilet, read warranty information. Most manufacturers offer a 3-to-5-year limited warranty on mechanical parts and will have different terms for the chinaware and toilet seats. Some will offer a 3-year warranty on the bowl and tank, others will warranty the chinaware for a lifetime.